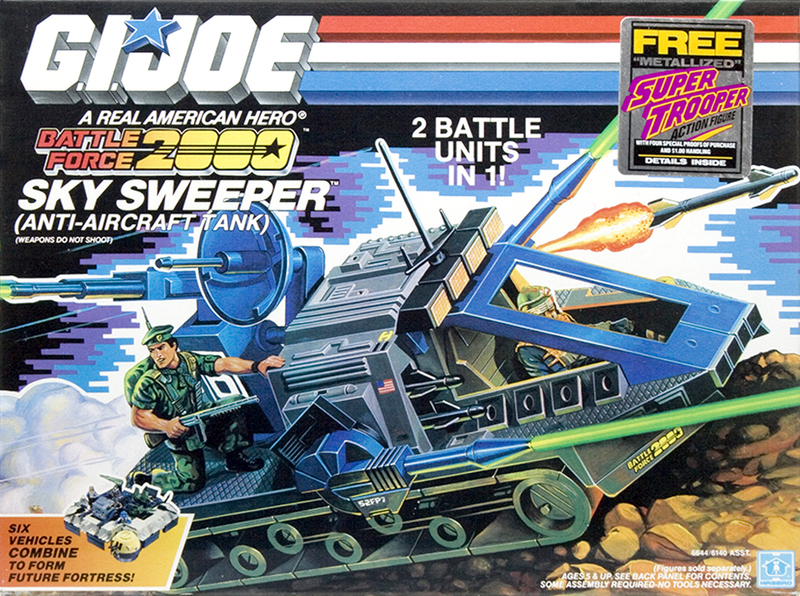 Sky Sweeper courtesy of the Yo Joe Outlet. Please visit them on eBay. 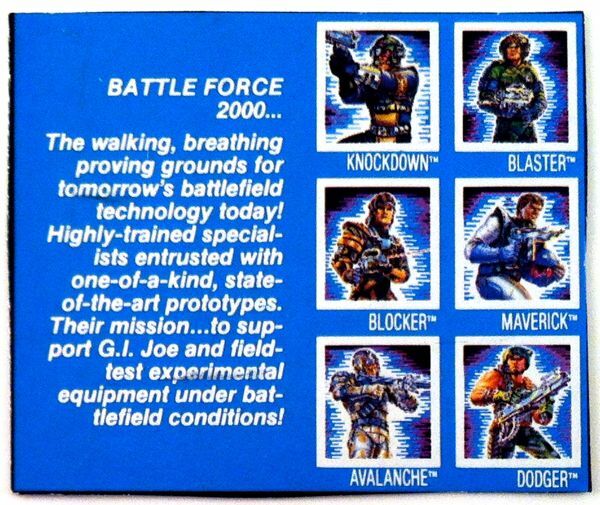 All six of the 1987 Battle Force 2000 vehicles are really 2 battle units in 1! 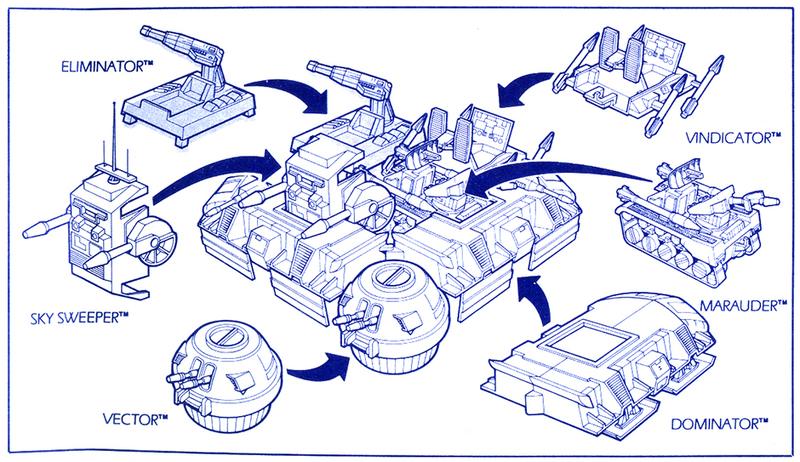 The Sky Sweeper "outpost" battle station lifts off and becomes a standalone unit. 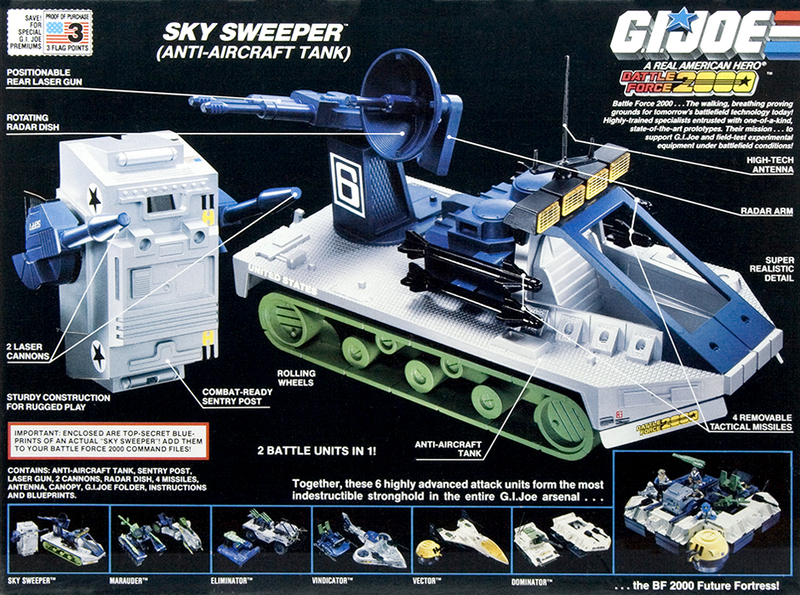 Sky Sweeper box photos from the collection of Chris Cardillo. Please check him out on eBay, or give him a shout on twitter. 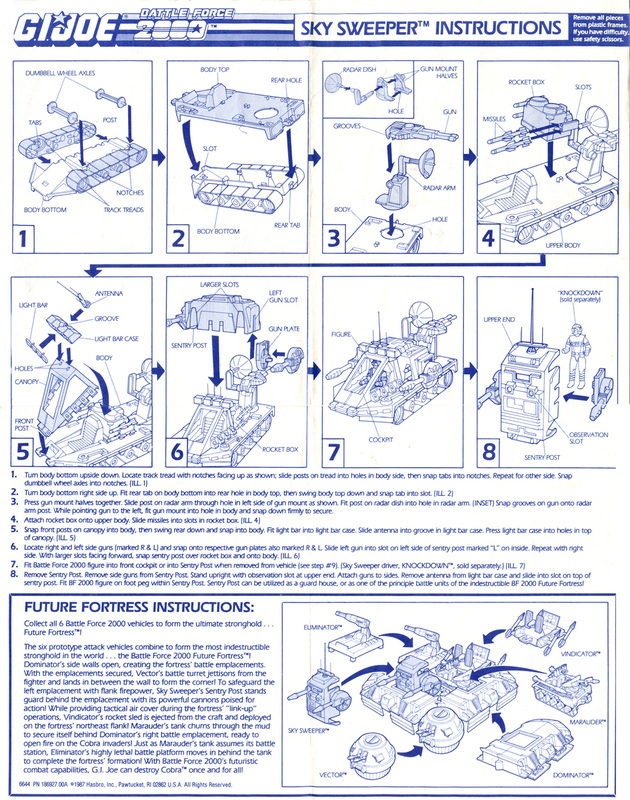 The 1987 Battle Force 2000 vehicles did not come with any figures, but each of the six Battle Force 2000 carded figures were assigned to a vehicle. 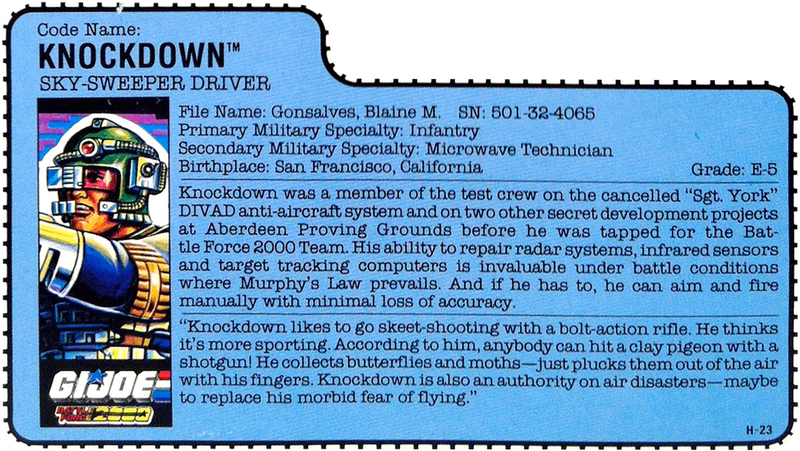 Knockdown's file card listed him as the Sky-Sweeper Driver, so he's pictured above in the driver's seat and featured below. 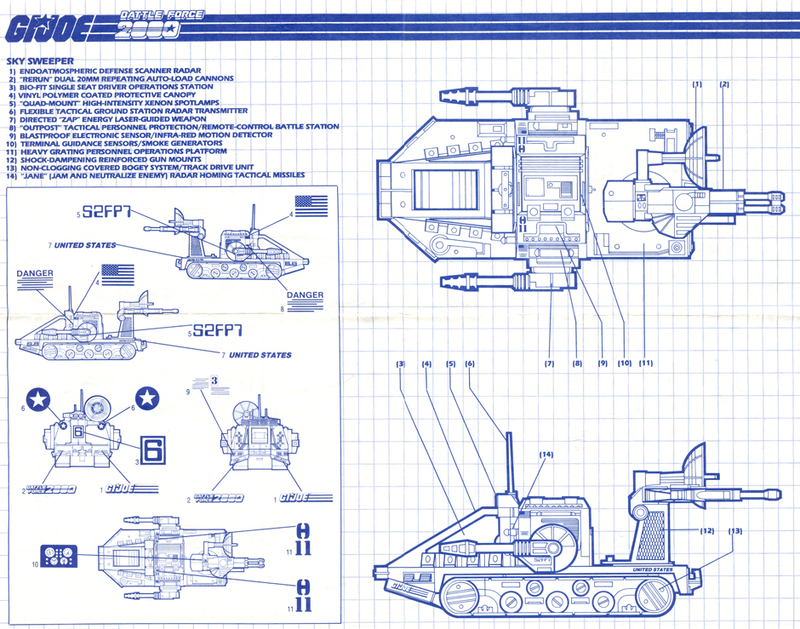 Sky Sweeper blueprint/instructions courtesy of Tim Dz.